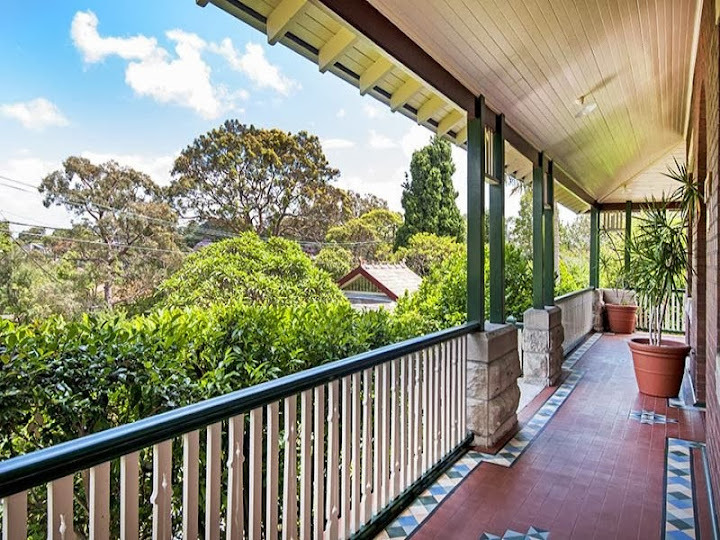 In Wollstonecraft, Georgian-revival Federation Bungalow residence Tullamore is for sale for only the second time, as its owners, Lionel Cruice and his wife, Maggie, plan to downsize. 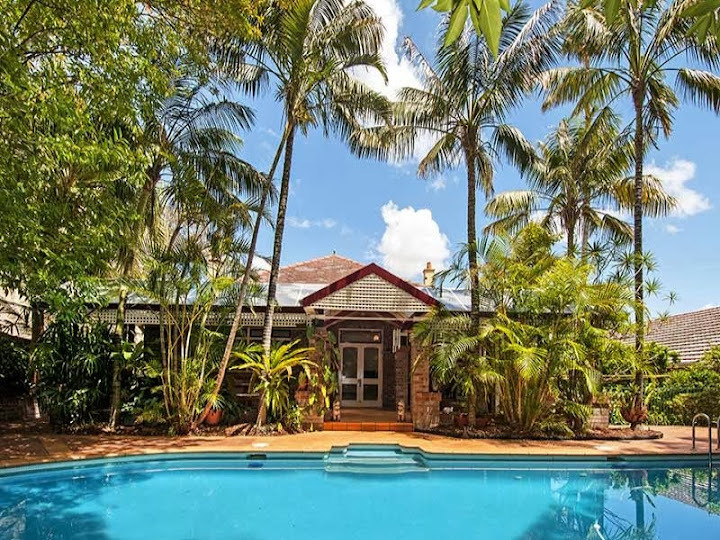 Plans by former self-storage industry boss Jim Miller, and his wife, Jocelyn, to spend more time at their beef cattle property near Jugiong, have prompted the sale of their grand old merchant’s home in Mosman’s Bradleys Head Road. 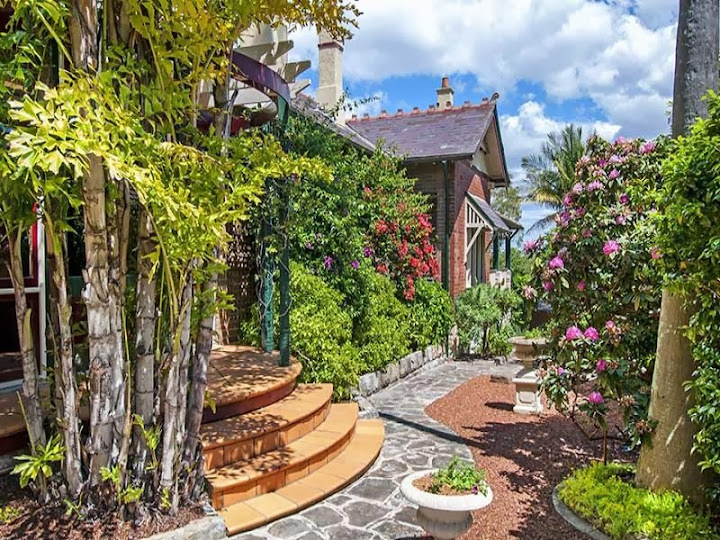 Out of storage: This grand Federation-style merchant’s home in Bradley’s Head Road has been with former Wallaby Jim Miller and his wife, Jocelyn, for nearly 25 years. 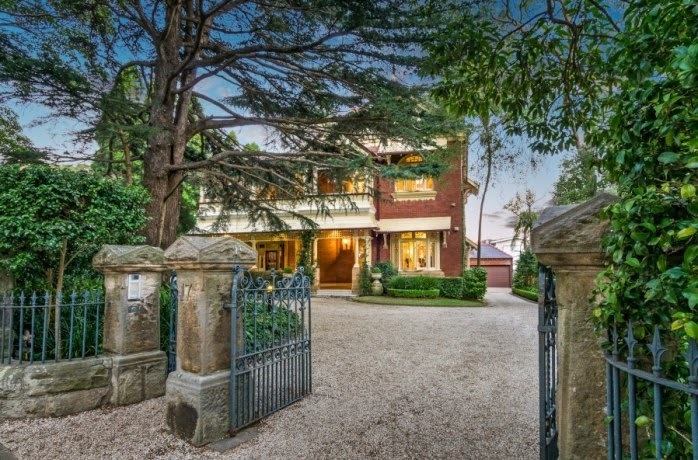 Rona before renovation, from Mosman Council records, showing gothic featured turret and coloured glass transom lights in verandah. 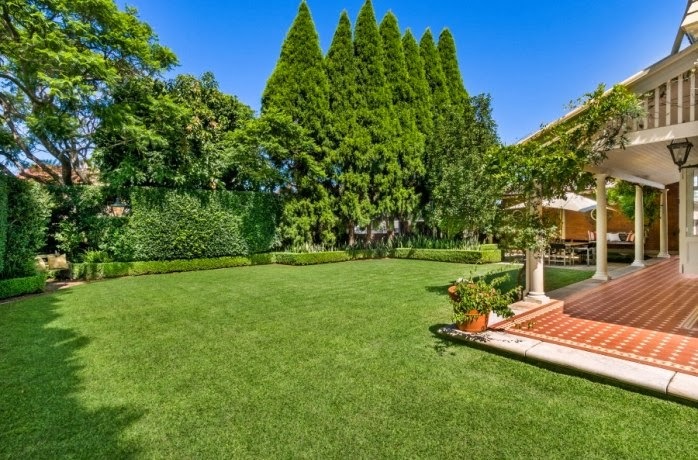 Mosman’s garden is basically lawn, edge hedging and boundary tree plantings. Wollstonecraft’s garden looks much better loved, and in period. 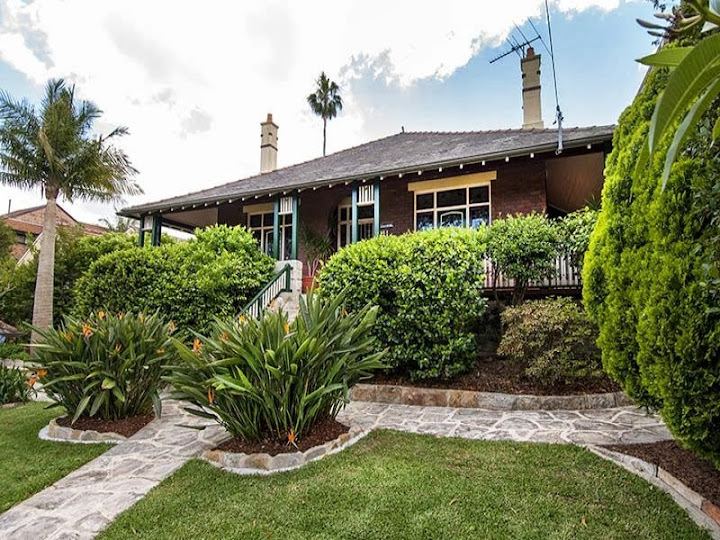 “A classic c1912 Federation Bungalow residence of sandstone and brick … one of Wollstonecraft’s finest homes. Tullamore is set gracefully on 1132sm of level land. 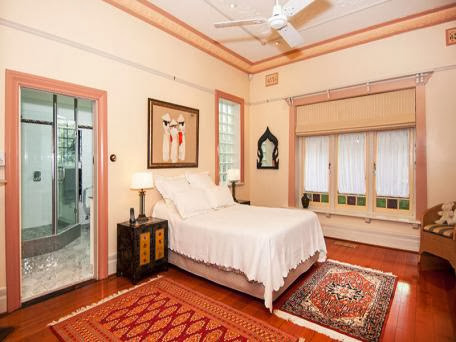 It has been superbly restored and flawlessly finished with exquisite period detailing. 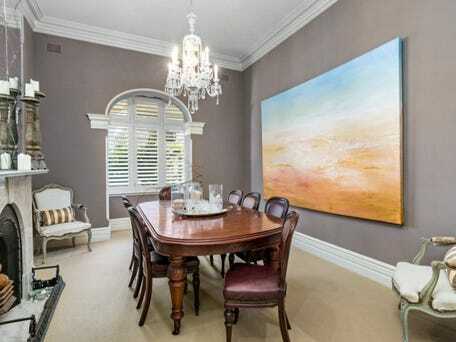 Generously proportioned interiors faithfully combine period charm with contemporary quality to create a timeless elegance.” –http://www.realestate.com.au/property-house-nsw-wollstonecraft-11538712 “‘Rona’ is one of Mosman’s grand merchant homes, impeccably restored and modernised under the guidance of acclaimed architect Michael Suttor. Tullamore is a smaller home. the garden entrance is wonderfully vibrant. 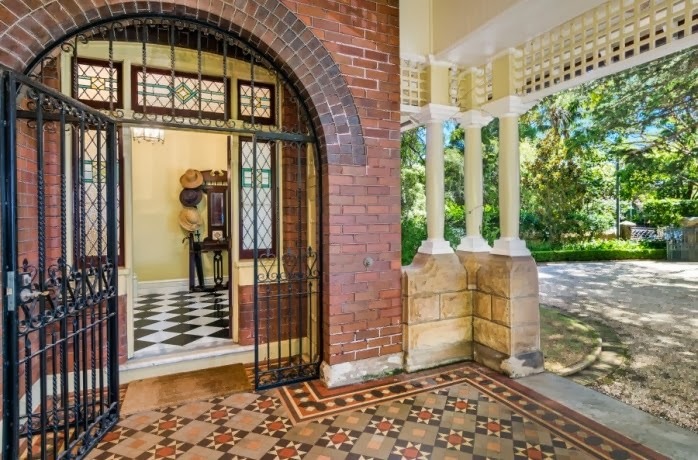 The Entrance to Rona: undeniably grand, beautiful tiling and verandah frieze. 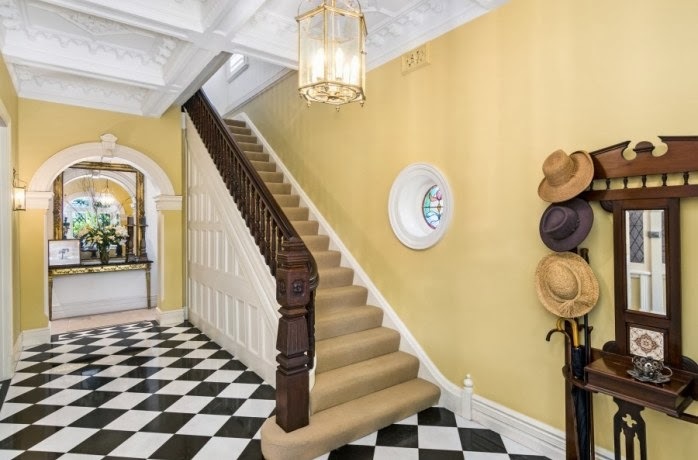 The ceiling has lost any distinguishing features, and all the woodwork painted pearl-white. 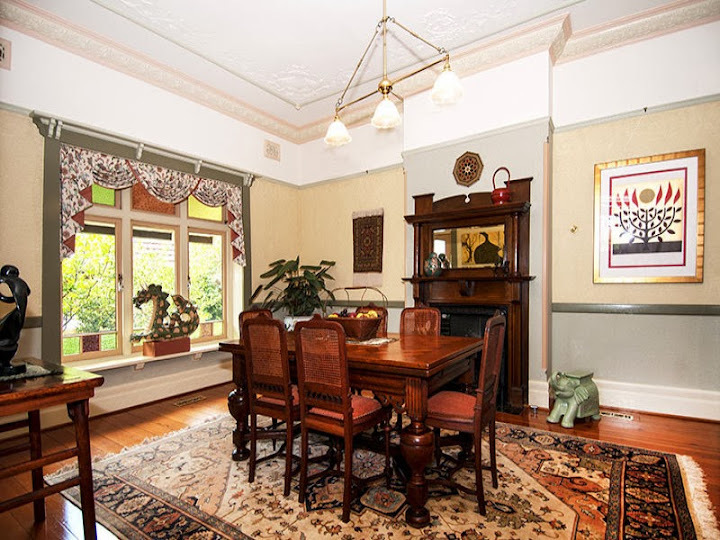 The fireplace, so Edwardian, is a wonderful centrepiece in a beautiful period room, check out the bay window treatment. I prefer the period light fittings to chandeliers anytime. 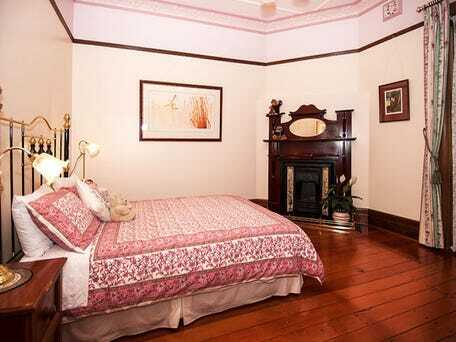 It’s not only the ceilings, but the warm period floorboards are completely covered up by beige carpeting. The cornices, so very similar in both houses, are painted in just two shades of grey and pearl. Coloured glass windows have been removed in this room, anyway. 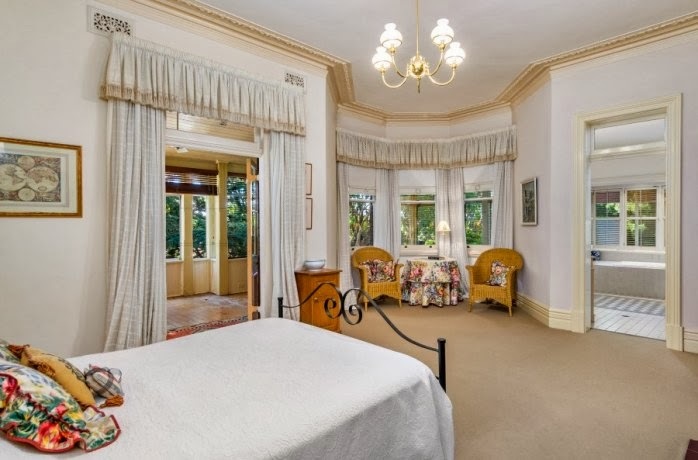 There is a bay window but it has been muted. This looks fun! A lovely canopy above and beyond. 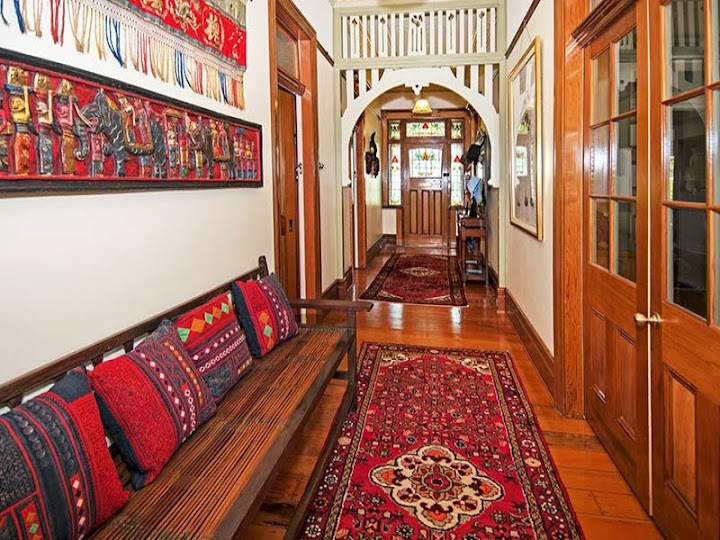 Wicker chairs and polished floorboards remind us that this is a Federation home. 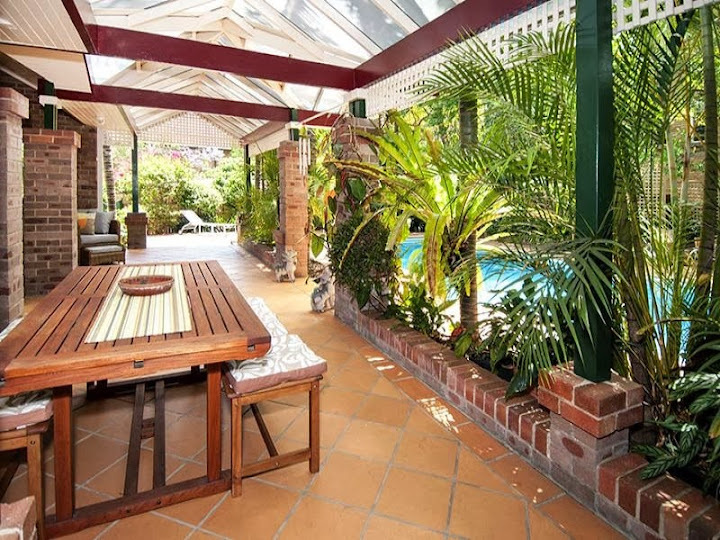 This looks like an indoor lifestyle, but there is a tiled verandah beyond…. 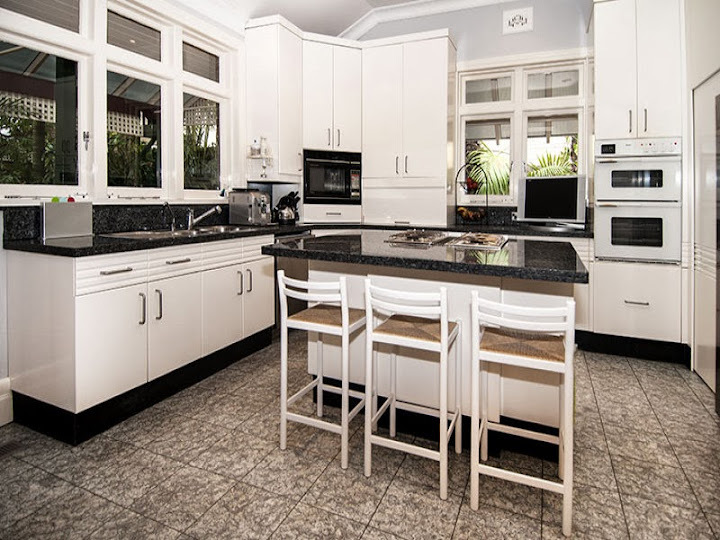 Apparently “additional features include a powder room, separate preparation area in the granite kitchen, marble bathrooms,” Perhaps we could see them somewhere here? 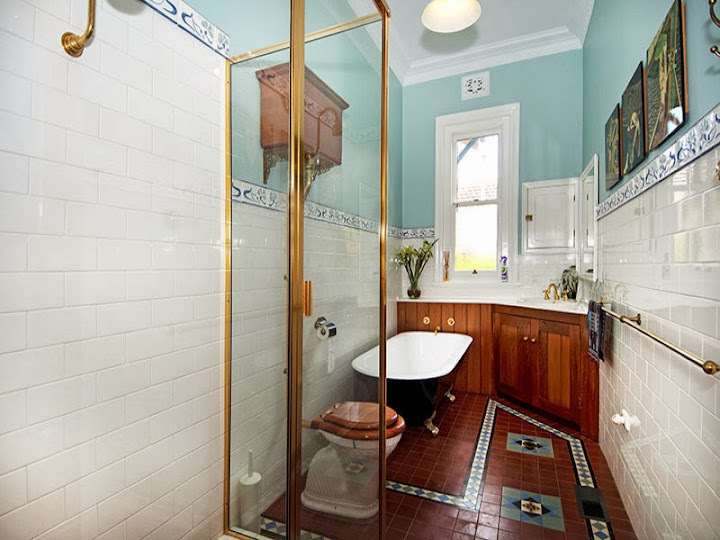 A period bathroom, with original tiles and claw foot bath. Something to be proud of. 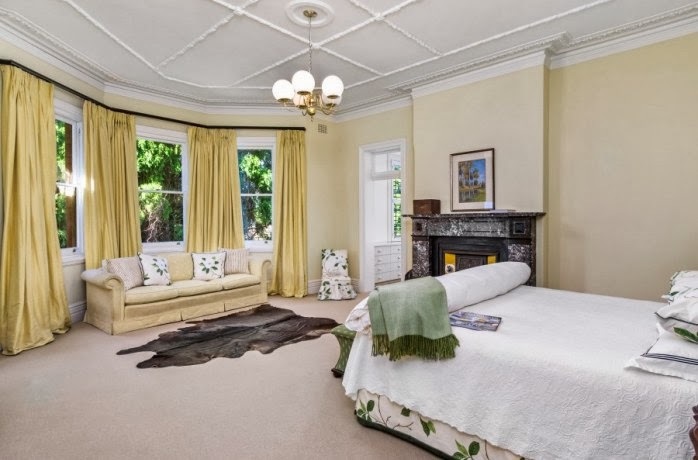 I like the tiling frieze and original features. 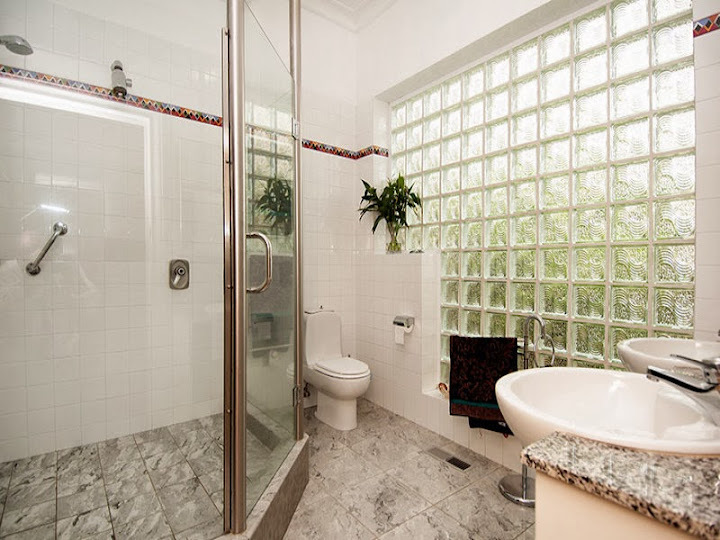 There is a bathroom visible on the right, but not one of three bathrooms is pictured at all in the real estate promotion. Is that a message? Nothing to be proud of? not to mention the gothic coloured glass in the windows, and the beautiiful cornices. 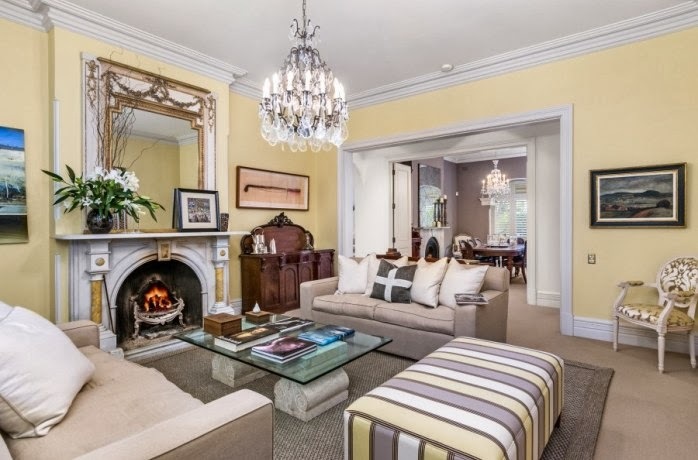 A marble fireplace and pressed metal ceiling remain, but not an inviting room, is it? Feeling passionate? The windows look as if they have been totally replaced: the typical small upper panes of glass are just gone. 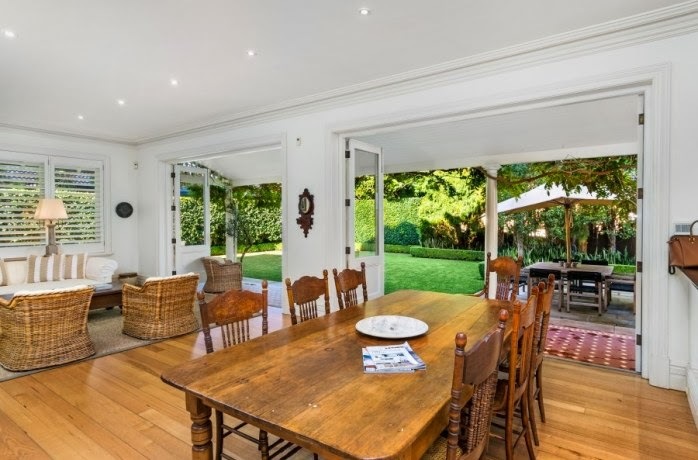 11 Telopea St, Wollstonecraft, showing all the benefits of a period renovation. 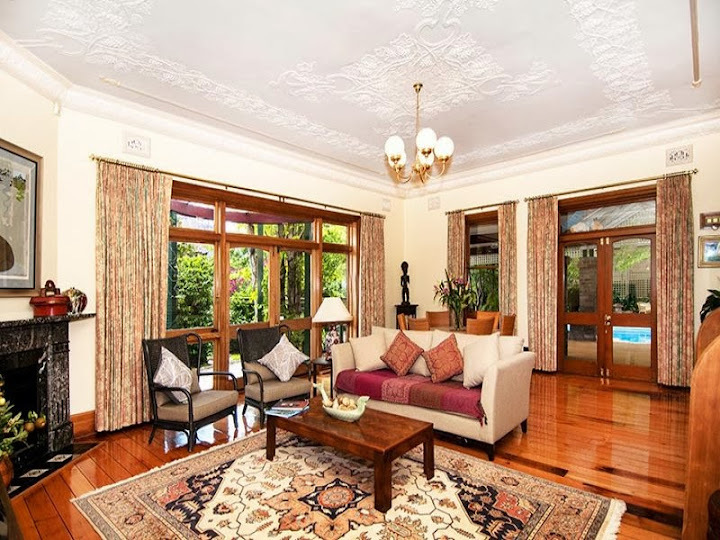 17 Bradleys Head Road, Mosman, showing no particular style, but plenty of beige. A viewing area, not for tea and cakes, too narrow. A leafy outlook, but not for outdoor entertainment either.